I’ve got a new #chuckiegiveaway for all my awesome blog readers! 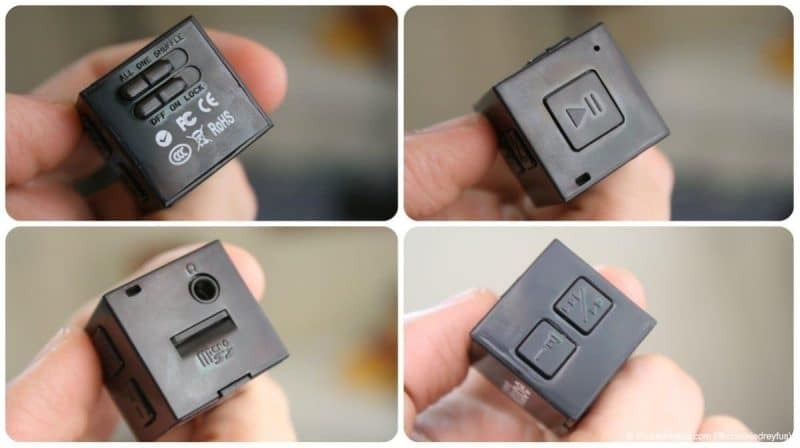 newKube is the world’s smallest MP3 player. It delivers rich audio playback and made its international debut at the 2013 Consumer Electronics Show in Las Vegas. This tiny device provides SIX (6) HOURS of non-stop playback time on a single hour of charging! Incredible! 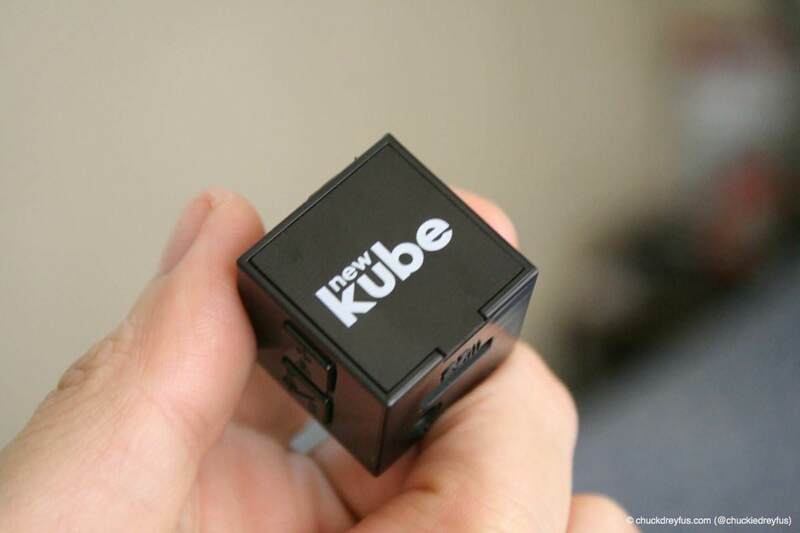 To know more about the newKube, click here to read my review. If you want to win this device, simply join my raffle by following the instructions on the widget below. It’s very simple! Most of you already know how to do this. Thank you to everyone who joined this #chuckiegiveaway! MORE GIVEAWAYS VERY SOON! STAY TUNED! i want to win the newKube MP3 player because it’s very small but aims to deliver clear, crisp audio playback. i don’t lose things easily so this one’s a fit. 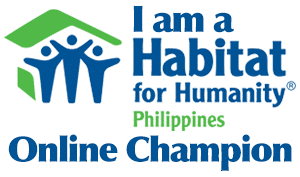 I wanted to win the Kube MP3 so i wont get bored when i am doing my outreach program and when I am travelling. I think listening to great music while doing the things you love is definitely rewarding more so with a Kube MP3 non-stop of playing music is a good deal! Im such a doofus when it comes to gadgets, ergo, I’m not techy (my phone is a nokia for crying out loud) ao this music box is just perfect for little ol naive me. Seems so user friendly! Yay! It’s so cute, and super cool!! i want to win the newKube MP3 player because i want to own the smallest mp3 that ive seen and it would look good to my personality for being cool! 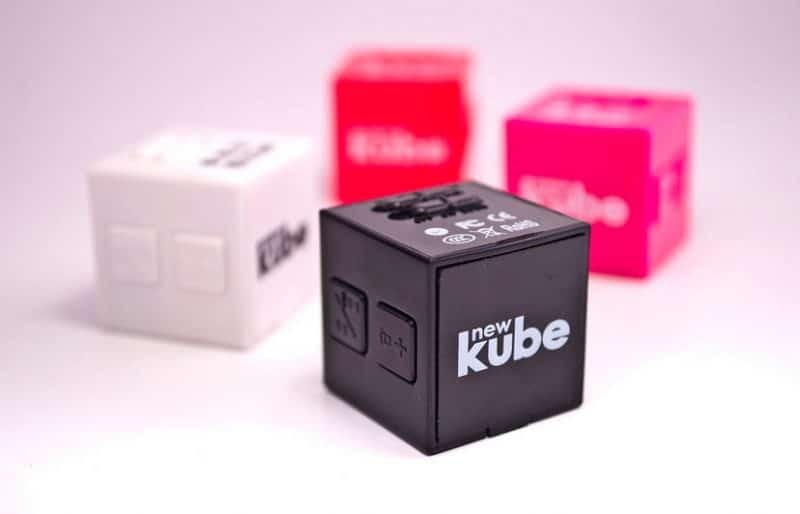 I would love to win the new Kube because its unbelievably small and so convenient to carry! i want to win the newKube MP3 player becausei i love listening to music, and i would love to have a newKube MP3 player as a prize. hope i win. 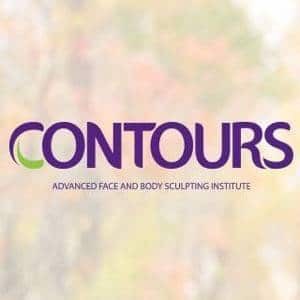 I hope I win! I hope I win!! It’s…so…..cuteeeeeeeeeeeeee!!! grrr!! I want to win the newKube MP3 player because of its quality and being handy, I can bring it anytime, anywhere, I can listen to my favorite music, without the hassle of carrying a heavy load. It will be very useful when i travel and whenever i read. I really liked listening to music! I want to win the Kube MP3 for my little brother! Perfect gift for him who loves music. i want to win this tiny KUbe mp3 player because its good for me as a music lover and a traveler. so small, so cute, so cool!!! I want to win the newKube for my sister! She is such a music lover that even in her sleep, she has her headphones inserted on her ear! Her phone is not so of a music player so having this would be a great music player! I want to win this cute newKube MP3 player for my little girl,she loves music and i also wanna try this.First time ko pang nakita to. nice gadget, hope to win…. tamad akong madaming dala pag umaaalis pero gusto ko laging soundtrip sana manalo ko nito, madaling dalhin! Its so cute! I really want to have that Mp3 Player so I won’t get bored whenever I travel. because I want to give it to my husband who loves music. gusto ko manalo nito newKube Music player kasi mahilig makinig ng music ang mga kids ko. I want to win the newKube MP3 player because its something new to me! To experience the world’s smallest speaker is can make my love for the music worth-happy! I want to win the Kube MP3 so that I’ll enjoy superb rhythm and melody playbacks everytime I’m on the go! I also love that it is compact and easy to put in a pocket! i want to win so i can have my own very unique mp3! i want to win the newKube MP3 player because of it’s portability and micro sd read capability. LSGH rules! I love listening to good music that soothes my mood every day as I go to work and leave from work that’s why I want to win the newKube MP3 player. For music lovers like me and working full time facing computer this is definitely a good company. I want to win the newKube MP3 Player because it’s my hubby’s birthday month this month and it would a perfect present for him since he love music. And this very cute small thing would be perfect for music lover like my hubby. It is cute and small that can fit on my bag. No hassle at all. I want to win so I can bring my fave music anywhere I go. I want to WIN so I can give it to my eldest son whose in 1st year College now.. as a gift in his upcoming birthday. I want to win the newKube MP3 player because it’s cool you can bring it anywhere, awesome, trendy and perfect for music enthusiast like me. I want to win because the newKube MP3 player rocks! It’s very handy and I can it bring anywhere. i want to win this super cute mp3 player coz i want to give it as a gift to my husband. im sure he will love this! i want to win the newKube MP3 player because when the time i saw that damn ! I REALLY WANT IT !! unique.convenient.. its easy to kept ! I want to win the newKUBE MP3 because it delivers clear good music despite it’s compact and handy size.. best for people on the go and on the road like me!!! Because music has simply changed my life and I want it to be with me wherever I go. To KILL the boredom inside! A simple way to be in the norm. I want to win the newKube MP3 because it would be very convenient to use and carry during my gym workouts. My name is Mario and like Super Mario I am on a quest for a lifetime adventure. As I travel and explore my destination, music has always been my companion. Whether it will excite me or calms me, a Kube mp3 is just so perfect for a traveler like me. It’s so cool and handy, I’m sure I’ll always be on a “Tudut dut tudut dut” mode with it. I want to win this for my niece who loves music a lot! Its her birth month and Id like to surprise her :) – Corinne F.
I wanted to win the Kube MP3 because it can’t be conquered. No one will ever get to the end of music. it’s such an easy way to get happy. I want to win the newKube MP3 player because of its size. Its very easy to bring it with me whenever I go out. It looks like a really convenient music player to own, and its fun design makes it something to have ! Quality looks great, beats all those bulky and limited functioned player out there ! I want to win the newKube MP3 player to listen to my favorite music. This will be an awesome birthday gift to my son! Napanood ko cia sa pop talk at Super pop na po cia kya gustong gusto kong magkaroon nito..
Napanood ko cia sa pop talk at super pop na pop cia kya gustong gusto kong magkaroon nito…. I think its such an awesome product perfect companion for my running exercise! I wanna win the new Kube Music Player so I will have a companion when I run! because i love listening music and i want to try newkube because my friends say its so cool.. I want to win this newkube MP3 as a gift to my mother because she is a music lover she’ll surely love this tiny audio and for sure shell be inspired doing house hold chores at home playing music all day long.. I want to win the newKube MP3 player because it is convenient to use & carry. This would be my great buddy during travel. I hope I will be lucky to win this. I really want one!!! I want to win because music is my passion!!!!!!!!! I wanted to win the Kube MP3para mapakinggan ko ang ating OPM songs! I want to win this newKube MP3 Player because it is a good traveling buddy for commuters like me. It will fit perfectly in the coin pocket of my pants! I want to win this because I love listening to music anywhere and everywhere I go and this super small newKube fits perfectly in my pocket. I want to win the new Kube MP3 player because it’s so small and it will fit my pocket without that uncomfortable feeling. With this little cutie, it would be easier to go around while listening to my favorite tunes! I want to win the newKube mp3 player, because it would be of help to bring my baby to sleep when listening to lullaby, its continious play feature is awesome and it is easy to bring anywhere. I want to win this newKube MP3 player because of it’s size but can still give you the best quality. This is my 2nd time to join your giveaway and I hope that I’ll win now hehe My 12 year old daughter is into music and singing, I will give it to her as a gift. I want to win the newKube MP3 because I really love listening to music. It is sooo cute. I like its simple but unique design, and it’s small and very handy. And the expandable memory is really great, I can store up more than a thousand songs. Music is part of my life and as a busy person like me, having a lightweight mp3 player which is good to go will be a perfect treat for me! I can bring anywhere else and listen while working or during my trips. i want to win the newKube MP3 player because my birthday is nearly come na and i hope this was the best gift ever na marecv ko this year, wala pa akong mp3 player i wish to have one.. I want to win the newKube MP3 player because it’s so cool, It definitely suits my lifestyle. Im always on the go and this cutie mp3 player will keep me company. I want to win the newKube MP3 player I know this thing will keeps me alive:) Music keeps me going! Because it is a fashion statement that you can actually hear. I want to win the newKube MP3 player because Music is my life. I love that it is so small! Plus six hours of music. Wow! Can carry it anywhere plus long hours of music. WANT! i’d like to win coz i want to give it to my hubby for his birthday on sept 21. he’s a music lover and this is a perfect gift that i could give to him. Ang cool pa niya at ang cute! Nakaka-amaze pa na smallest mp3 player pa siya. Hope to win. I gave my music player to my brother so I want to get this Kube for myself :) Good luck to us all. I want to win the new Kube MP3 player because I love gadgets and I want it to be one of my collections. it would be great for playing classical music for my baby, connected to the teddy bear speaker. I want to win the Kube MP3, because i love to listen to christian songs everytime i go to bed and after office hours it is my way of relaxing my self from busy days and stress office works.. with the help of this mykube mp3. player i can got the best sounds that i want.. and it become more accessible for me to listen to my favorite songs anytime.. anywhere..
Because I want to replace my very old mp3 player with a small one! Love to have this! hopefully with sd card lols! Just curious though those it come with headset? Hope to win! newKube mp3 is very convenient to use whether i’m on street or riding on a jeep or bus and I love listening to non-stop music. The first and last mp3 player i had was an ipod shuffle and got stolen. Since then I never buy again. With newKube’s cool, stylish and clear audio, I am wanting to have one! hello chuckie :) i want to win the new Kube mp3 because i want to expirience to have that kind of mp3. i think its unique coz its so small. because that is the smallest mp3 player that ive seen.. . I want to win because I think kube mp3 is the best because it´s so cute! i want this newKube MP3 player because it’s cute and very handy. I listen a lot to music on the way to work and it’s frustrating at times to find my music player running on low battery. Aside from it being handy, newKube will prove to be a good travel companion with its long hours of playback. I want a new KUBE mp3 player because it’s so portable, cute and small that I can always bring along with me and listen to my favorite songs anytime, everywhere! I want to win the newKube MP3 player because this MP3 player is really small but can deliver crisp sounds! I want to win this newKube MP3 coz I know it will keep me alive! MUsic keeps me alive all the time! Hopin’ to win! Why do you want to win the newKube MP3 player? I want it because it will make my soundtripping hassle-free and cool. I want the Kube MP3 player to be my new music companion, everyday and every night. I want this small but terrible thing sound is so perfect,nice to bring whenever wherever!I I need this smallest mp3 player in the world because its so portable and cute. i want to win these to keep me updated and to relax me where ever i may be. with the busy life i have, only music helps me relax for a bit. i can carry it anywhere anytime and use it whenever i want. I want to win the newKube MP3 player because it’s simply amazing, easy to carry everywhere and it can also help me to connect in music. I want to win it because I love listening to music and the cute mp3 player is so0o handy that you can hold it in one hand. If you have it, you’re IN! Love it! I want to win this newKube MP3 Player because of It’s Unique Design and State-of-the Art Technology. I want to have one to use it for my travel and during breaks. i want to enjoy my workout by just having this, so light, small and fashionable. I want to win the newKube MP3 player because i love music so much that I want to listen anytime and anywhere. Since it’s small it very handy. I find comfort in music & whenever i go for a walk or jog i’m always gear up when listening to it,and the new kube mp3 makes it easy for me it’s hassle free, the size & the quality are perfect.. I want to win the newKube mp3 because it’s very portable and convenient to use. I always want to have gadgets that consumes less space on my pocket or bag. very low memory. So winning this would really help me. I want this because i’m a music lover! This is cool!! This will be a good companion while i am driving! I love music, it would be great if I will win.. I can bring it anytime, anywhere! I want to win because I really like that it’s so small! It’s so convenient specially when I travel. I want to win the newKube MP3 player because it’s so cute and small. I want to win the newKube MP3 player because it’s just so cute that I want to have it so badly. It’s a badass gadget! I wanna win it! I wanna have it! Please. i want to win this little gadget! for my hubby’s birthday! its cute! I want to win the newKube MP3 player so I can keep listening to music during my daily commute, without draining my phone’s battery! I want it because it is so small but still delivers great audio so I can use it wherever I am since it can fit in my pocket! I want to win because this fits my lifestyle as an OC person so I would like to organize things and this cutest mp3 can suits my personality of it’s hassle-free. With this hippest,cutest and coolest gadget will made my day always because I’m travelling always cause of work so boring go go away. Small yet terrific. It holds my music in one small place. Love it. I love Kube MP3 player because its cool & portable… I love the Kube Philippines!!! I so love listening to the music while going around the metro either to go out to work or to collect used books from donors to be given away to schools in the bario. I want to win because I love music. I want to win the newKube MP3 player because It is a Awesome gadgets it is a Nice gift for my love ones, it can help them to ease boring time. I want to win the newKube MP3 player because it’s been a long time since I’ve won anything! Why do you want to win the newKube MP3 player? because every gadget chuckie is giving away is definitely must have! i believe and trust hes blog thats why i knew its a 2 thumps up! I want to win this awesome mp3 player because it’s very unique and portable (and CUTE! :”> ). I think it really defines the saying, “Great things come in small packages”. Plus, its simple design makes it more appealing.